What Excuse Do You Use Not to Knit? Easy Baby Booties Knit Pattern is the perfect project for you when you are short on time. There are some days I am certain two or three hours have gone missing. There just isn’t enough time! On some days it seems like not enough time for anything. No fun or play just work and clean and worry. I am sure you recognize in this world there is plenty to worry about, but I think that is the very reason we need to make time for play too. Baby bootie knitting patterns are a great take along project and they are always a hit at any baby shower. Imagine if your handmade gift was the hit of your next baby shower. In a Hurry? CLICK HERE to see more gorgeous choices of easy baby booties knit patterns. Is It That You Don’t Have a Special Place? Sometimes you can feel you don’t have a special place to knit. That lovely rocking chair or a special craft room, or me, I love sitting on my deck in the evening, listening to the sounds of nature and doing what I love, clicking my needles together, creating something gorgeous. But if I can’t get to my deck, maybe it is raining, should that mean that I don’t knit that day? Sometimes, we have a schedule to keep, house to clean, meals to cook, children to bathe, an perhaps a job to work. Well some of us are so regimented that we will not allow ourselves the “luxury” of some “me” time. Rubbish! We need it! I guarantee you will never regret it. You will feel better, be happier and more tolerant of the world around you. These Baby Boots from Craftsy are perfect for your first set of booties. They are a cross between socks and moccasins and will actually stay on baby’s feet. They are labeled a beginner project. Great for starting your love affair of knitting baby booties. Another bonus to this pattern is that you don’t have to know how to master knitting with double pointed needles, knitting in the round takes a little practice and you would definitely be able to figure it out but for your first booties you might like to feel some success quicker by knitting them on two single point knitting needles. The instructions are written out step by step with many photos. 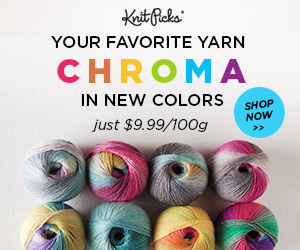 And of course you can make these in any color you like, but a solid color would show off your stitches better. These are perfect for your own little ones or as a gift for the next baby shower you are invited to. Here Is A Video That Helps You Understand A Very Simple Pattern For Little Booties And Complete In An Hour. A video is really helpful because you can pause and re-watch and start again. So really utilize your resources. Also there is a lot of help in the comments if you need the extra help. But the wonderful thing about these instructions is that you will have a completed pair of booties for your little one or a gift for someone in just one hour. And if it takes you a little longer…well that just doesn’t matter. These are precious little tiny booties. They are actually knit on two needles and then sewn together which for a beginner knitter is an easier way to go. You can save double pointed needle sock knitting for later once you’ve had some practice with knitting. These booties are for sizes 0-3months abd 3-6 months. Just use sport weight baby yarn and size 4 needles. I think they are beautiful and would be a fun challenge and for sure a perfect present. This baby booty boots set is very pretty and it looks like it is difficult to knit. But it really is not. It is actually labeled is a Beginner pattern. This is another booty knitting pattern that is knit on two single point needles. It is an easy pattern that will not take long for you to reach success and complete this gorgeous set of little booties. Craftsy.com is known for the quality of their patterns. And they have a huge selection of baby bootie knit patterns. Enjoy your own search for an easy baby booties knit pattern by CLICKING HERE. These baby uggs are perfect for the beginner knitter that has a little experience. The pattern is written in three different sizes. 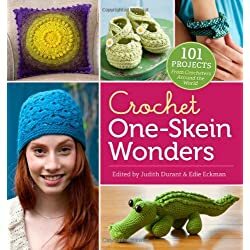 And what is really cool about this pattern is that the designer has included a fully illustrated 9 page photo tutorial to help you along the way. Etsy is known for their amazing Artisans. All the designs are original and beautiful. These Adorable bunny rabbit esu baby booties knit pattern and they are knit on two knitting needles. They are designed to be stretchy and a great fit. These booties also have a full color photos and row by row stitch count. You can’t help but knit this booties with success. Make them in multiple color combinations. They will make great unique gifts for all your future baby showers. You’ll be the hit of all the new mothers. Etsy is known for the Artisan designers that display their brilliant designs and patterns. 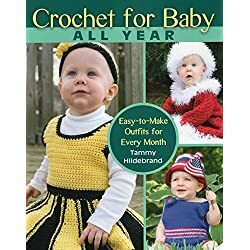 They have many many baby bootie knitting patterns. Enjoy your own search by CLICKING HERE. The point of this post is to encourage all of us, myself included not to forget the importance of allowing ourselves some relaxation time. To allow ourselves the opportunity to soul search or meditate or simply think of nothing. But to have the time to do something we really enjoy doing, in this case, knitting. Baby Buzzy Bee Boots– The Cutest Booties Ever! These are precious preemie or tiny and easy baby booties knit pattern. 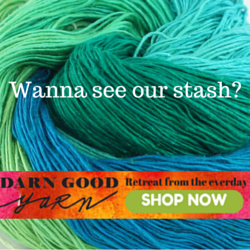 They use only a tiny amount of yarn so they are perfect for using up your yarn stash. They are from Etsy too and are a digital download so you will instantly have your new pattern. Sometimes baby booties actually get left behind because they have the reputation of being difficult. It just isn’t true. Especially if knitting with only the two needles you are used to. 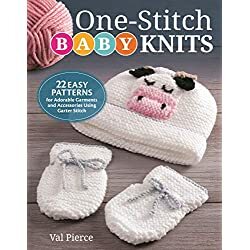 You may find this article of value, since it gives more information on Two Needle Knit Baby Booties Patterns. 2 What Excuse Do You Use Not to Knit? 4 Is It That You Don’t Have a Special Place? 6 Here Is A Video That Helps You Understand A Very Simple Pattern For Little Booties And Complete In An Hour. 13 Baby Buzzy Bee Boots– The Cutest Booties Ever!